Carma Poodale : Bunny Meme Saturday! 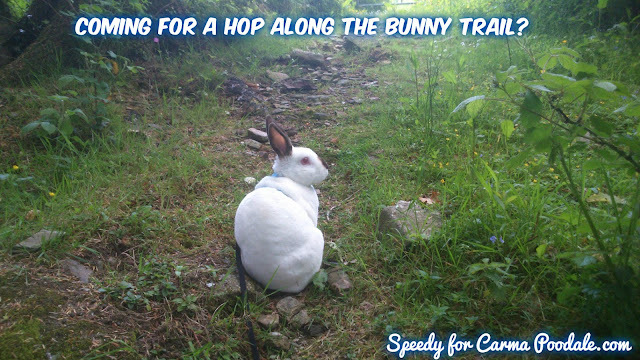 Hi Everyone!I hope you're all having a great weekend.So here's an invite to join me on the Bunny Trail to fun,adventure and Relaxation! A walk along your path looks like it'd be a lot of fun, Speedy. Pretty view, too.